The autumn of 2005 was Denmark’s Charlie Hebdo moment, except it was more deadly. On 30 September, the newspaper Jyllands-Posten published 12 cartoons of the prophet Muhammad, including one showing him with a bomb in his turban. 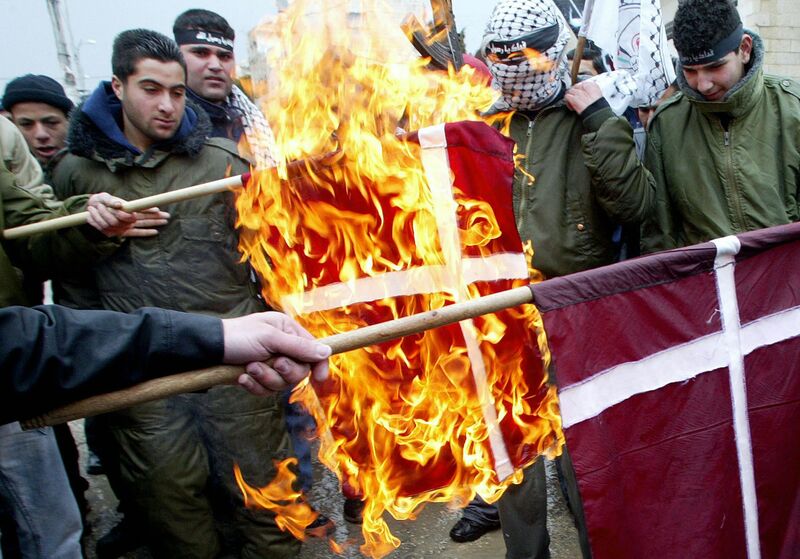 Local Muslims reacted with fury, and soon protests were engulfing Denmark. 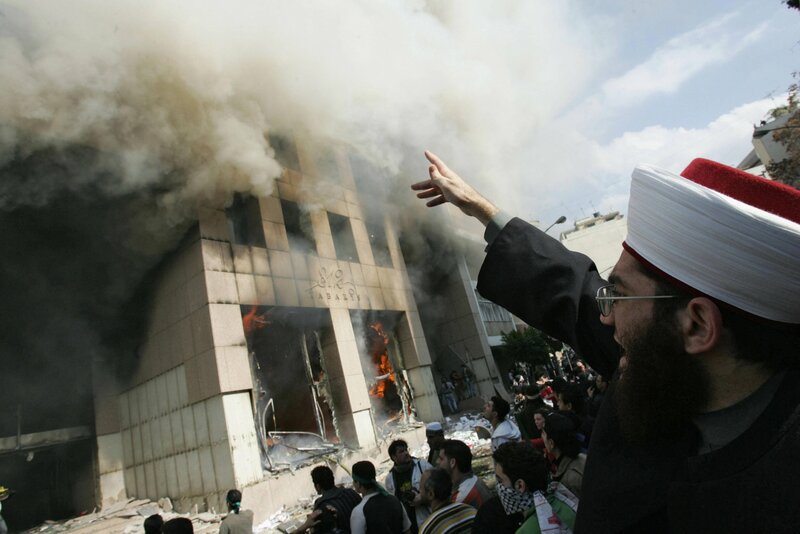 By early 2006, 200 people had been killed, Denmark’s embassies in Beirut and Damascus had been destroyed, and Danish, European and Christian organisations in Muslim countries had received threats. Then prime minister Anders Fogh Rasmussen called it Denmark’s worst crisis since the Second World War. In fact, because the cartoon crisis hit this peaceful country with such surprise and force, officials had to innovate as they went along. “The lesson learned was that security had to be on permanently high alert, which it has been ever since,” Fogh Rasmussen says. “We also learned that integration is not just about jobs and education, it’s also about values. Among the radicals you see many well-educated young people.” That’s where social workers now play a crucial role. The SSP model features a corps of mentors working with at-risk youth, steering them away from radical groups or encouraging them to leave if they have already joined, and maintaining close connections with their families. Social workers involved in the programme are trained by the Ministry of Children, Gender Equality, Integration and Social Affairs in conjunction with PET, the country’s national security intelligence agency. Working with PET, Danish prisons have developed a staff retraining programme with the goal of preventing radicalism. Last year, authorities also added psychologists to the setup with the specific goal of reintegrating returning foreign fighters, and a new government plan includes training youth who’ll serve as role models and facilitate dialogue with youngsters at risk of radicalisation. “Another crucial aspect is that Denmark has understood the importance of working actively for integration and is much better at not letting ghettos form,” notes Ranstorp. “Politically, there’s some hard talk, but in reality they make sure that neighbourhoods are integrated. The authorities even have a direct dialogue with mosques such as Grimhøj. It’s not clear that it has any influence on the mosques, but at least it’s there to signal red lines or during crisis situations.” Grimhøj, which is suspected of radicalising a number of the foreign fighters, has long caused controversy. Imam Oussama el Saadi has said that he hopes Isis will win and declined to denounce the Charlie Hebdo attack, noting that “the Protestant and Catholic churches didn’t distance themselves from the acts of the terrorist Breivik”. Storm knows a thing or two about Islamic radicalism. A Bandidos member-turned-Muslim, the Dane went on to join al-Qaida, later becoming an informant for PET. Storm helped PET track down his friend, the Islamic hate preacher Anwar al-Awlaki in Yemen, allowing the CIA to kill al-Awlaki in 2011. Storm, who now lives in hiding, documents his colourful career in the 2014 book Agent Storm. The Danish government is planning a law along the lines of what the unorthodox former terrorist suggests. “The threat posed by foreign fighters in Denmark is a highly prioritised area by the Danish government,” Justice Minister Mette Frederiksen says. “In order to address this threat most effectively, we’ve launched a new action plan that focuses on both intervention and prevention. Recently we’ve introduced a bill that enables the police to refuse the issuing of passports, to revoke passports from suspected foreign fighters and to issue travel bans.” That, of course, does not include Danish citizens and residents simply going abroad for terrorist training, the very people Storm worries will commit atrocities at home.